Speaking on VeriFone’s quarterly earnings call Thursday, CEO Doug Bergeron announced that VeriFone is no longer interested in signing up small merchants directly and is now looking to sell Sail through banks and merchant acquirers. VeriFone will also divest its assets in customer acquisition, risk management and customer billing. Bergeron said the process of acquiring merchants was ultimately a negative gross margin business, with razor thin margins, infrequent volumes and high turnover. “My belief is that the only possible survivors in this fundamentally challenging business model will be companies who might have an opportunity to provide other services to these micro-merchants,” Bergeron said. It’s a little surprising that VeriFone is retreating so quickly after introducing Sail in May. But it’s also understandable. Sail was meant to be open and looked to third-party services to fill out its offering. Sail integegrated inventory specialist Stitch Labs (see disclosure below) as well as Xero and Outright for accounting and Push Point for marketing and local offers. But from what Bergeron said, it’s in these extra services where companies like VeriFone can make money. Since it wasn’t offering those directly, VeriFone was limited to primarily making money from transactions. Square and others will need to work through some of the economic challenges that Bergeron spoke of in offering mobile payment acceptance to small merchants. It can be a razor thin margin business and that could take down other competitors. The survivors in this battle will need to do more than just make it easy to take a credit card payment from a smartphone or tablet. You need to do a lot of volume and offer real value-added services that can ultimately make some money. Otherwise, we will probably see more competitors follow VeriFone’s lead in the near future. Disclosure: Stitch Labs is backed by True Ventures, an investor in the parent company of this blog, Giga Omni Media. Om Malik, founder of Giga Omni Media, is also a venture partner at True. 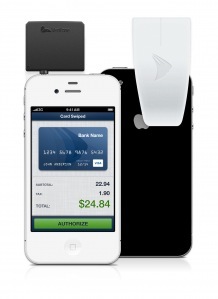 It is unfortunate that Sail (verifone) has decided to quit the mobile payment arena. But I think this is one of the best decisions they have made for 2012. Joining the bandwagon is not for everyone, especially if you know your company lacks the manpower to compete with a benchmark technology. They better just improve on their other services and they may excel on that playing field. Anyhow… I am proud to say that my MPOS mpowa (www.mpowa.com) is still in the competition… and it’s getting better and better! Here’s the rub…if Verifone doesn’t get it, they just don’t get it. Everyone in the entire world, who has a checking or savings bank account, should be able to accept payments via credit card – and that’s it. With or without a card reader or an iPhone. Verifone can handle the big boys and girls like Web merchants and mail-order, and the banks should handle the rest.